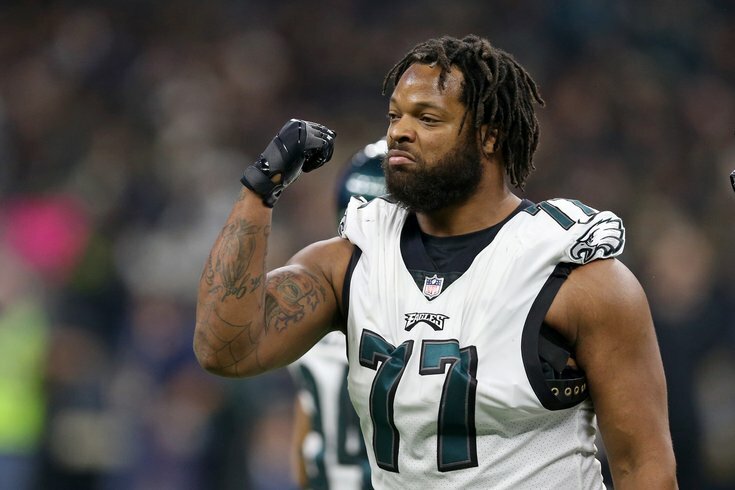 On Monday, a pair of Philadelphia Eagles trade rumors popped up, involving veteran DE Michael Bennett, and Cleveland Browns RB Duke Johnson. Let's take a look at them both. Last offseason, the Eagles traded a fifth-round pick and WR Marcus Johnson for Bennett and a seventh-round pick. That trade paid nice dividends for the Eagles, as Bennett finished the 2018 season with 34 tackles (15 for loss), nine sacks, and 30 hits on the quarterback. Statistically, Bennett was easily the team's most productive edge rusher. A year later, Bennett could be dealt, according to a report from Geoff Mosher 97.3 ESPN radio. Sources: #Eagles spoke to teams in Indianapolis about Michael Bennett. With free-agent market for pass rushers drying up, #Eagles had discussions at Combine with NFL teams about one of their best pass rushers. The two defensive end starters to begin the 2018 season were Brandon Graham and Derek Barnett. Graham unexpectedly signed a contract extension last Friday before testing the free agent waters, and it is expected that Barnett will resume his role as a starter next season when he returns from a torn rotator cuff. That leaves Bennett potentially as a $7.2 million rotational defensive lineman, up from $5,650,000 a season ago. If the Eagles were to trade or release Bennett, they would save that $7.2 million in full. As it currently stands, the Eagles have one of the deepest defensive end groups in the NFL, with Graham, Barnett, Bennett, Chris Long, and Josh Sweat. They also have some significant age at that position, as Bennett will turn 34 in November, Long will turn 34 later this month, and Graham will turn 31 in April. With the Graham re-signing, a trade of Bennett makes sense, seeing as (a) the Eagles could stand to get younger at defensive end, and (b) Howie Roseman called this defensive line draft class "historic" back in January. While the free agent defensive end group is beginning to dry up, which could force teams desperate for pass rusher help to look to deal for one, it will likely be difficult for the Eagles get anything more than the fifth-round pick they traded for Bennett a season ago. But obviously, the $7.2 million saved by trading Bennett would go toward improving a weaker position on the roster. When the Browns signed RB Kareem Hunt this offseason, many fans immediately (and astutely) pointed to Johnson as a potential trade target of the Eagles, seeing as Cleveland would have a surplus of backs, in Hunt, Johnson, and Nick Chubb. SLATER SCOOP: Eagles and Cowboys have both expressed interest in trading for Browns RB Duke Johnson, source tells me. @MaryKayCabot first reported interest by multiple teams. As we noted recently, Johnson would be a nice fit in the Eagles' offense, and in my view, an upgrade over what Darren Sproles was giving the Birds in their offense. On just under 300 carries (about 75 per season), Johnson has run for 4.3 yards per carry in his career with the Browns, in what has (mostly) been a horrific offense. Yes, the Browns now have Chubb, Hunt, and Johnson, but Hunt is facing a suspension from the league, and it's not as if the Browns are just going to trade Johnson for nothing. They would certainly be looking for real value in return, seeing as (a) Johnson is a useful player, and (b) he just signed a three-year, $15.6 million contract extension last June, and the Browns would take a $2,250,000 cap hit if they traded him this offseason. A season ago, the Browns got 13.5 sacks out of Myles Garrett. After Garrett, Emmanuel Ogbah was the second-most productive DE on the team, sacks-wise, with just three. The Browns have been building their roster with young players over the last few years, but if this is the year they think they are ready to pass the Steelers and Ravens in the AFC North, Bennett could help them.